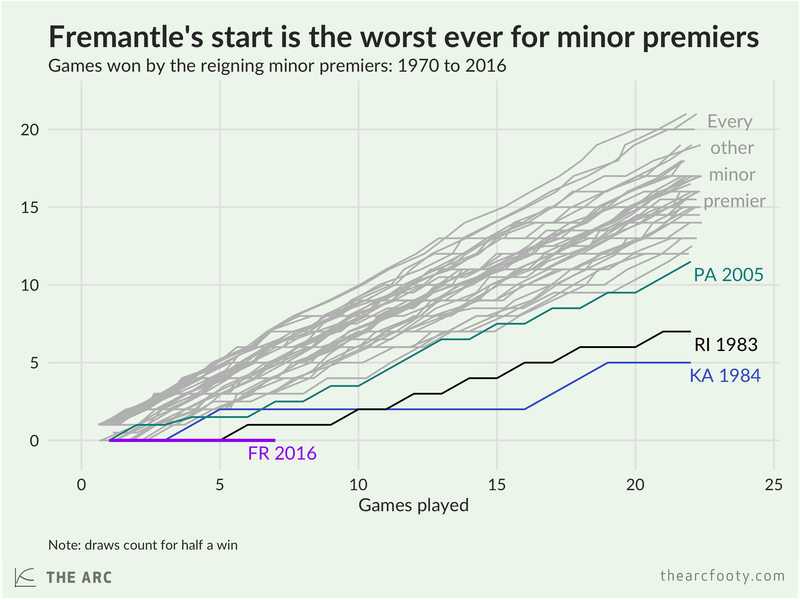 It’s going to be interesting to watch Freo do battle with the 1984 Kangaroos and the 1983 Tigers for the worst season record for a reigning minor premier since 1970. 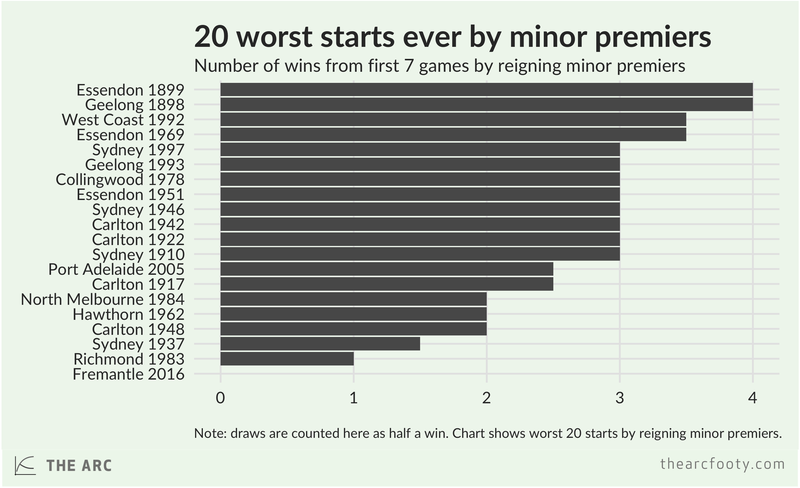 At this point you’d have to bet that the Dockers will trump the 2005 Power for the worst record of a reigning minor premier in the AFL era. We’ll keep this graph updated throughout the season, after taking a break for the next few weeks.